Orkney Trike Tours offers you an exclusive, exciting and, we think, a unique way of exploring the beautiful islands of Orkney. We run specific tours for Cruise Ships, with timings to pick up and drop off at your ship, for your convenience. This is in addition to the regular tours we offer to ALL visitors to the lovely islands of Orkney. All our quoted prices are "per Trike" which holds one or two passengers and, unless otherwise stated and include all admissions to any attractions we visit. Don’t be just a tourist in a car or a coach, stand out from the crowd and ride with us and arrive in style. We promise to give you something more than just a tour around Orkney; we can give you the “journey” across Orkney. Like life itself it’s not where you end up but how you get there that is important. We believe, when you ride with us, that you will be talking about the great journey as much as the wonderful destinations that you visit, long after you have departed Orkney. 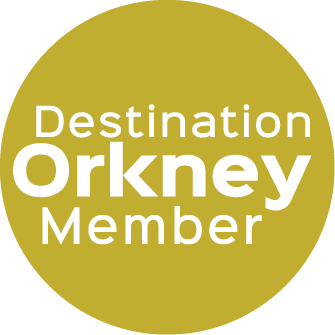 We will give you a memory, of not only the sites you visit but how you traveled across Orkney. For many of us, our time is valuable, by touring the island on our chauffeured trike, letting us guide you around Orkney; you can combine the pleasure of a trike ride with that off sightseeing, looking at what Orkney has to offer to the visitor. Let us take the strain off you by taking you on the best routes to the sites and at the quieter times, if possible, enabling you to just relax and enjoy your holiday. Orkney is situated just off the north east coast of Scotland in a mild maritime climate. It has, for centuries, been a crossroads for sailors. "The Heart of Neolithic Orkney " is a designated UNESCO world heritage site, which shows that even 5500 years ago it was probably a center of influence for Britain. There has been continuous human habitation through to the present day. With some of the inhabitants leaving more of a mark than others. It is what these past inhabitants have left, that gives Orkney a great wealth of history, which Orkney Trike Tours can help you to explore. Be it Neolithic, Bronze Age, Iron Age, Viking or 20th century or any time in between. 2019 Orkney remebers the Scuttling of the German Fleet In Scapa flow, why not take our Orkney at war Tour and let us bring events from a hundred years to life. Orkney Trike Tours would like to help you to explore Orkney. By tailoring a tour to your individual needs, enabling you get the most from your time with us. Our aim is to give you, a memory which you can treasure for the rest of your lives. We at Orkney Trike Tours know that the “atmosphere” on Orkney is not as dry as some places you may visit on your holidays. So we supply full waterproofs and helmets to keep you warm and dry. Prices start at £70 per hour for the trike (that price is for one or two passengers) up to £400 for a full day tour again this is for one or two passengers, Spirit of Orkney tours are £480 and need pre booking to arrange admisssions etc. Set tours offered are 2 hrs, half day or full day excursions. Celebration tours are 2 or 4 hours long and are often run in the evenings in summer to catch the late summer Sun (weather dependant of course). Please contact us or see our web site for full tour details and prices. The shortest tours we usually run takes two hours for a site seeing tour of kirkwall and the surrounding area which is £140 for the trike. We can pick up and drop you off at your hotel, Cruise Ship or Ferry if you request. Our most expensive tour costs £240 each person (£480 for the trike) you have full tours of Scapa And Highland Park distilleries with at least two whiskys at each, a visit to a Gin Distillery with a tasting session, a Brewery and 3 different beers to sample, and we stopped at a hotel or two if time allows, and this takes all day. Again we can pick up and drop you off at your hotel, Cruise Ship or Ferry. We are always happy to try to meet your interests wherever possible and can organise taylor made tours to suit you at no extra cost where ever possibe. Admission charges to the attractions are included in the price, unless stated in the tour description. Prices £70 per hour for the trike (two passengers on the Trike). Half Day Tours £250 for the trike (two passengers on the Trike). Full Day Tours £400 for the trike (two passengers on the Trike). Spirit of Orkney tours full day tours £480 for the trike (two passengers on the Trike). Half day tours also available.